Active Environments was hired by PAWS and Zoocheck to handle the transport of the Toronto Zoo elephants to PAWS Sanctuary. Claiming this inhumane 4200km transport to a facility with proven tuberculosis risks is some altruistic act of animal welfare Council and the Zoo board and ignore the hypocrisy of working with a company connected to the horrific Taiji, Japan slaughter of dolphins for the marine entertainment industry. Zoocheck lobbies against Marineland here in Ontario but ignores the connections of Active Environment to an issue of captivity they ideologically oppose. The Performing Animal Welfare Society (PAWS) uses the services of Active Environments (www.activeenvironments.org), an animal behaviour consulting firm, to aid it with respect to training personnel in the use of protected contact to care for its elephants (www.pawsweb.org/protected_contact.html and www.activeenvironments.org/pdf/AE_Resume_Elephant_06.pdf). The firm has provided consulting services to a number of institutions that are members of the AZA concerning the implementation of protected contact management of elephants including the Detroit Zoo, the San Francisco Zoo, the Calgary Zoo, the Dallas Zoo, and the Woodland Park Zoo; a representative list of Active Environment’s clients can be found at www.activeenvironments.org/pdf/AE_Resume_Elephant_06.pdf. The first two Zoos mentioned above have transferred their elephants to PAWS and closed their elephant exhibits under pressure from animal welfare activists. The last three Zoos have been criticized by activists and urged to transfer their elephants to a sanctuary. A review of Active Environments client list, services and business relationships have raised some troubling issues. Although there are no allegations of improprieties, this information nevertheless gives rise to some serious questions that may merit attention by animal welfare advocates. Among the organizations for which Active Environments has provided consulting services on positive reinforcement training techniques are a number of biomedical laboratories; they include University of Texas MD, Anderson Cancer Center in Science Park Texas, FDA Primate Unit in Maryland, Southwest Foundation for Biomedical Research in Texas, National Institutes of Health in Maryland, Yerkes Regional Primate Center in Georgia, and University of California at Berkley (see www.activeenvironments.org/pdf/AE_Resume_BehMgt_06.pdf and www.activeenvironments.org/pdf/AE_Workshops_Resume_06.pdf). According to an article entitled “Chimpanzees Trained To Cooperate With Animal Care” that appeared in the Cambridge Center for Behavioural Studies (www.behavior.org/resources/485.pdf) chimpanzees at the University of Texas MD Anderson Center Chimpanzee Housing Facility were trained to provide urine samples on cue, present various body parts voluntarily for examination (e.g., present a wounded finger for treatment, and open the mouth for inspection of teeth and throat), cooperate with hypodermic injections, safely have blood samples drawn, and enter a transport cage for shifting from one enclosure to another in collaboration with Active Environments. While it is laudable to work to improve the conditions of animals in biomedical laboratories, the relationship nevertheless is troublesome from an appearance perspective. However, there are even more problematic relationships involving the officers of Active Environments, Tim Desmond, Gail Laule and Timothy J.Desmond and two other companies, JV China Inc and Ocean Adventure, in which some or all of them are officers (see Corporation Wiki at: www.corporationwiki.com/California/Lompac/active-environments-inc/41115279.aspx; www.corporationwiki.com/California/Lompac/jv-china-inc-6032801.aspx; and http://savephilippineseas.com/2011/07/01/ocean-misadventure/). Sorting out these relationships is difficult due to references in the media to a “Tim Desmond” when discussing these companies which make it unclear whether the reference is to Tim Desmond, President of Active Environments, or Timothy J. Desmond who according to Corporation Wiki was Secretary and Treasurer of Active Environments, and President of JV China, Inc. JV China Inc (JV China) was organized to act as a partner in joint ventures with Chinese companies to design, construct and manage aquariums in China featuring trained marine mammals. In 2000 JV China was involved in a contractual dispute involving its partner in the Beijing Aquarium concerning the safety and ownership of marine mammals provided to the Aquarium under the terms of a 6 year $11 million contract. The dispute is described in an article in the New York Times, which may be found at: http://www.nytimes.com/2000/04/03/world/at-a-beijing-aquarium-dolphins-are-hostages.html?pagewanted=all&src=pm, and an article appearing in the Peoples Daily at: http://english.peopledaily.com.cn/english/200004/17/eng20000417_39082.html. 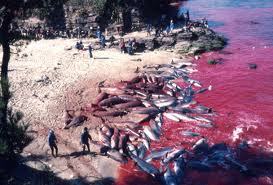 The marine mammals were captured in 1999 during drive hunts in Taiji,Japan. 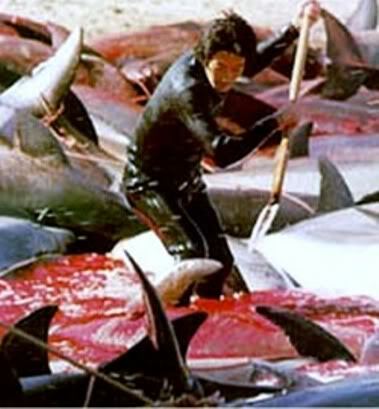 These hunts are described in graphic detail in a report prepared by WDCS, the Whale and Dolphin Conservation Society, entitled “Driven by Demand: Dolphin Hunts in Japan and the Involvement of the Aquarium Industry” (http://www.wdcs.org/submissions_bin/drivenbydemand.pdf; a copy of the report may also be found at http://www.zoocheck.com/Reportpdfs/DriveHunt%20report%20WDCS%2006.pdf). Dolphins and false killer whales are corralled in Japan and captured for use in the aquarium industry; those animals that are not sold to the aquarium industry are killed and eaten. Notably Zoocheck Canada campaigns against marine mammals in captivity, its related entertainment industry and the wild capture industry but also works with PAWS on campaigns against zoos and circuses on behalf of elephant and animal welfare. www.savephilippineseas.com/2011/07/01/ocean-misadventure/, and in a report prepared by Singapore-based NGO, ACRES, with the support of the Earth Island Institute, entitled “Resorts World Sentosa’s Plans to House Wild-Caught Dolphins” (http://www.saddestdolphins.com/report/Acres%20-Resorts%20World’s%20Dolphins%20Report.pdf). 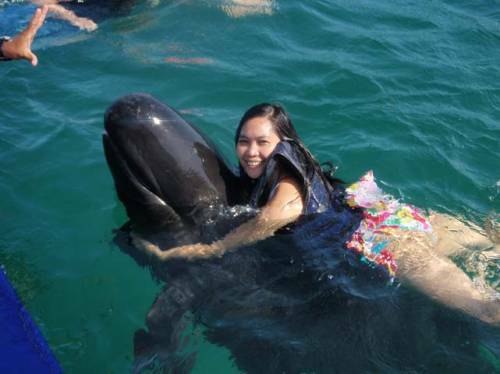 According to the report prepared by ACRES, dolphins captured in the Solomon Islands were purchased by Resorts World in 2009 and later sent to Ocean Adventure for training (see pages 9 and 26 through 27 of the report prepared by ACRES for more information including dates and places to which the animals were transferred). 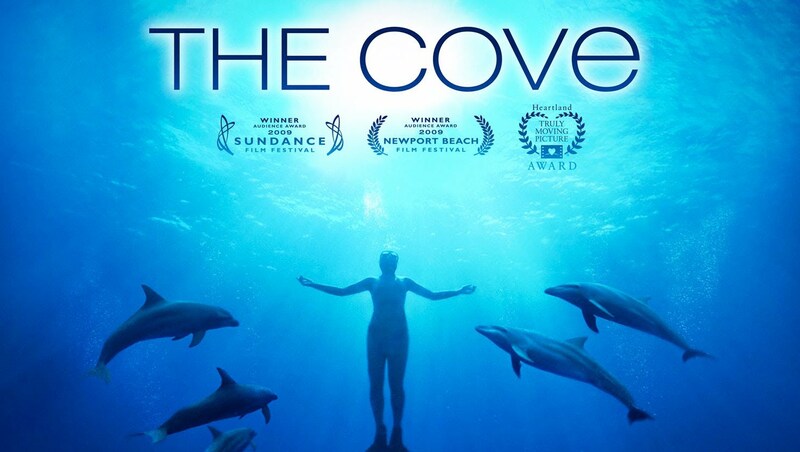 Perhaps the most disturbing information with respect to the relationships between these companies and their activities is the description of Tim Desmond’s activities on behalf of Ocean Adventure in Taiji, Japan, and his statements in an interview with “BBC’s Undercover World: The Dolphin Hunters” in which Mr. Desmond describes himself as a conservationist because he is saving the dolphins from the hunter’s knives since if he did not purchase them, the dolphins would die. “We went to Japan precisely because these were doomed animals …collection of our animals is a side-product. This was and is the lowest impact way to collect wild animals for public display. These are animals that have already been captured and are literally minutes from death.” WDCS goes on to state on that page: “It is WDCS’s opinion that this ‘rescue’ rationale to purchase cetaceans captured in drive hunts is misguided and belies the large sums of money paid by aquaria for individual whales and dolphins captured alive in the hunts”. 1000s die so tourists can do this? It goes without saying that the activities of JV China and Ocean Adventure as described in these reports and the BBC documentary contravene the beliefs of both animal rights activists and those who support zoos. The connection between these firms and Active Environments needs some explanation since it raises troublesome questions for anyone who is provided with animal behaviour consulting services by the firm. Toronto City Council has used the use of bullhooks in AZA elephant programs across North America as a major argument regarding their opposition to the National Elephant Center, stating that in their opinion it is an “inhumane” practise, innately abusive. The bullhook issue has dominated the argument against TNEC. So if we are to take issue with AZA zoological facilities for a management practise Council deems inhumane then I feel we also need to consider ideologically the inhumane practises of Ocean Adventure/Active Environments with regard to their participation in what is considered to be a globally disgraceful and horrific act of brutality—the Japanese Dolphin Drive Hunts. So we are against “BULLHOOKS” but this is ok? organization which participates in these drive hunts immoral and not in keeping with the animal welfare platforms of both our zoo and our city. If not then I imagine we must reconsider our stance on facilities which utilize bullhooks. This would also appear to be the mandate of our zoo board which based on the no bullhook criteria laid out regarding the transfer of our elephants is also against any form of unnecessary animal cruelty. 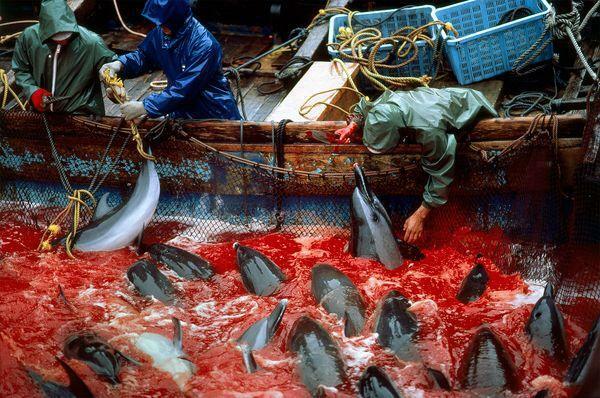 Purchasing marine mammals from the Japanese Drive hunts is clearly the worst kind of animal cruelty imaginable. As a citizen I take offense to this organization having anything to do with our zoo and our elephants. I don’t think I need to explain the hypocrisy of Council, PAWS and Zoocheck utilizing or supporting the services of this company. If all accredited AZA zoos are going to be considered by council as substandard or abusive as a result of their connections to the AZA or the use of bullhooks then by that same logic AE should also be judged for their connections and direct business affiliations via Ocean Adventures with this dolphin slaughter as it is far more cruel than any bullhook could ever be. By zoosmatter in animal abuse, animal rights, animal welfare, animals, dead elephants, IN defence of animals, inhumane, Jane Goodall, Nicole Meyers, PAWS, politics, sanctuary, statpak, toronto, toronto zoo, toronto zoo elephants, trunk wash, tuberculosis, zoos on September 26, 2013 .